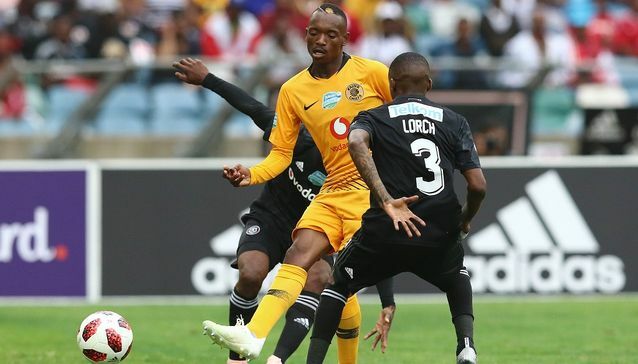 JOHANNESBURG – WHILE most attention will be at the Soweto derby between Kaizer Chiefs and Orlando Pirates at FNB Stadium on Saturday, elsewhere table-toppers Bidvest Wits will be eager to extend their lead on the Absa Premiership. The Clever Boys are away to unpredictable Highlands Park at Makhulong Stadium in Tembisa, also on Saturday. Both matches kick-off at 15h30. Wits lead the 16-team league with 37 points from 19 games while Highlands are placed tenth with 22 points from the same number of games. Highlands are aiming to end the season among top eight sides, which is set to make the encounter with Wits crucial. There is no doubt the spotlight will be at the Soweto derby where Pirates will be aiming to close the gap with Wits. Pirates are second behind Wits with 32 points from 18 matches. played, a position fans are unhappy with. The two Soweto sides draw large crowds but on the field, have largely failed to live up to expectations. Chiefs players, save for striker Khama Billiat, have been a disappointment thus far. blame in Chiefs leaking goals. Hence the defence of Daniel Cardoso, Lorenzo Gordinho, Mario Booysen, Teenage Hadebe and Ramahlwe Mphahlele, depending on who coach Ernst Middendorp will field on the day, must be alert. Midfield maestro Willard Katsande will dictate things likely alongside George Maluleka, Hendrick Ekstein or Siphelele Ntshangase. Chiefs will again rely on Billiat’s form but other attackers like Bernard Parker and Leonardo Castro must deliver. Pirates have their own problems in the goalkeeping department where Siyabonga Mpontshane, Jackson Mabokgwane and veteran Wayne Sandilands have taken turns to flop. However, the defence of Happy Jele, Marshall Munetsi and Innocent Maela has been on form behind a kinetic midfield bossed by among others Vincent Pule, Kudakwashe Mahachi and Musa Nyatama. The Zambian duo of Augustine Mulenga and Justin Shonga has impressed. Also on Saturday, Free State Stars will entertain Chippa United at Goble Park. Amazulu welcome Cape Town City to the King Zwelithini Stadium in Durban. Meanwhile, on Friday, bottom-placed Maritzburg United will host vastly improved Polokwane City at Harry Gwala Stadium. On Sunday Baroka will host Bloemfontein Celtic at Peter Mokaba Stadium in Polokwane while Golden Arrows entertain SuperSport United at Sugar Ray Xulu. Golden Arrows vs SuperSport United, Sugar Ray Xulu (15h30).